A while back I had mentioned that I was on the hunt for another Stone Collaboration beer. Luckily, Beer Soaked Scott happened upon a new local spot for craft beer, Baycrest Wine and Spirits, in Costa Mesa. You may say “hey, that place isn’t new!” And you’d be right, but it was new to me as a craft beer shopping destination. Now I’m sure some of you Costa Mesa / Newport Beach locals may already be familiar with this place as it’s been around since 1952, and is well known for selling winning Lotto tickets. It’s a family owned shop right on 17th Street in the Pancake House parking lot. I have driven past it hundreds of times, but never ventured in until Beer Soaked Scott told me about the craft beer selection a couple months ago. You see, Baycrest Wine & Spirits is located just around the corner from Hi-Time Wine, (another notable craft beer store in Costa Mesa). So anytime I was in that neighborhood looking for beer, I went directly to Hi-Time. But now, Baycrest is going to be my 1st stop. The guys behind the register know their beer and are happy to chat with folks about it. They’ve got a really nice selection of craft beer, friendly and knowledgeable staff, and a great relationship with their Stone rep. So they get some pretty fantastic beers through their door, and always keep some goodies in the back. If you ask nicely you might get your hands on some hidden gems. Anyway, I just wanted to give a quick shout out to Baycrest Wine and Spirits. If you ever find yourself in their neck of the woods, please stop by and give them some support. “Like” their Facebook page to get notified of new beer deliveries, Russian River, Stone, Bootleggers, Hangar 24, Firestone Walker, etc. are just a handful of regulars there. Pick up some craft beer and a Lotto ticket. And if you happen to buy a winning ticket there, remember who told you about that spot. 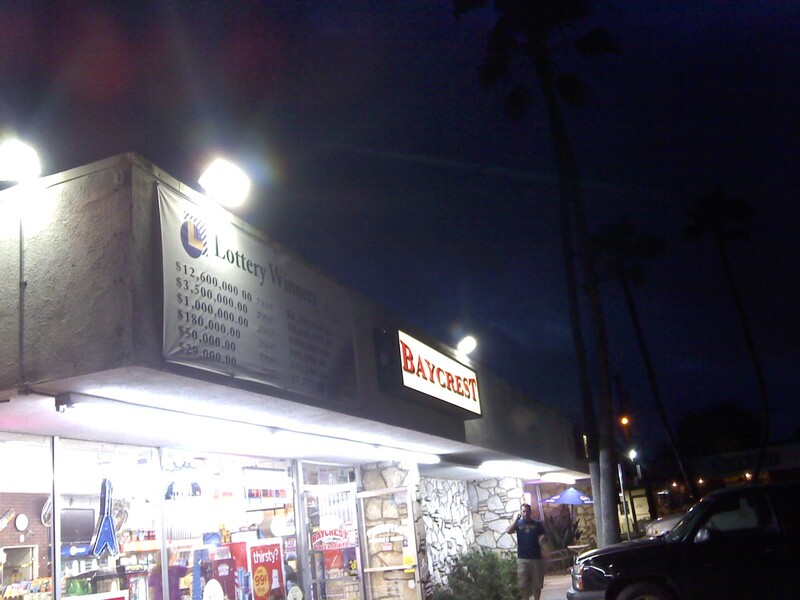 This entry was posted in Craft Brew, Links and tagged Baycrest, Costa Mesa, craft beer, Lotto, store by Erik. Bookmark the permalink.